The calf straps are lot better then chains to use. Very happy with them. No problems with the hip lifter. Better then I expected. 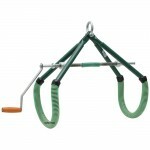 A high quality lifter at a reasonable price. 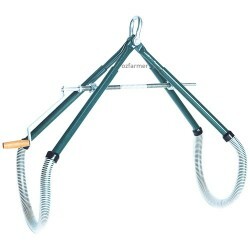 This model features a double-direction spindle thread to give much faster closure and particularly release of a down animal. 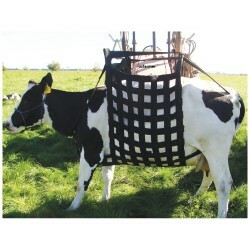 Often with cases of milk fever and similar it is essential to be able to release the cow quickly before she starts pulling away and falling down again. 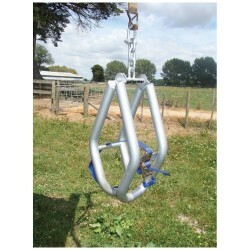 The lifter has a powder coated frame and galvanised mechanical parts with a rotating wood handle. Spare handles and spindles can be purchased. Top of the range lifter featuring a double direction spindle thread for fast closure and release. ..